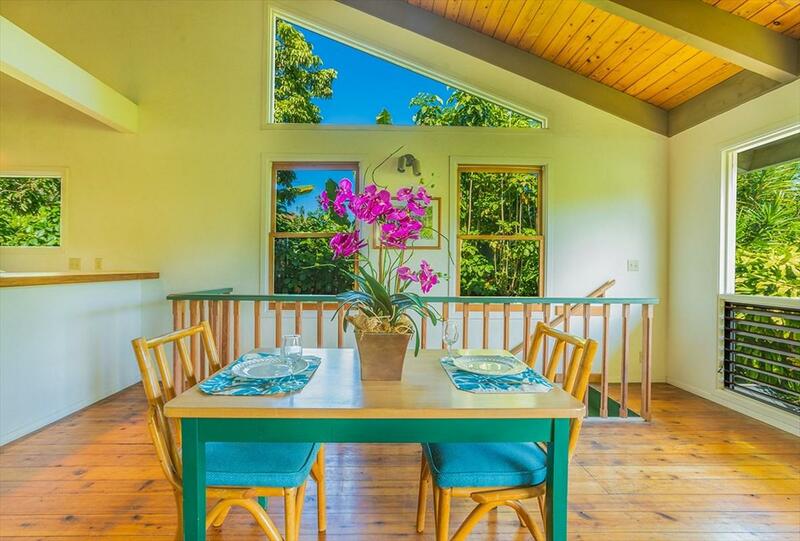 Walk to the beach and hear the surf breaking from "Hanalei Waterfalls" a delightful and successful permitted Hanalei vacation rental home with views of the gorgeous mountains and waterfalls in Hanalei. This is a 2 unit/lot "CPR" fenced for privacy, Each lot has its own Tax Map Key and can be sold separately by the buyer if desired. 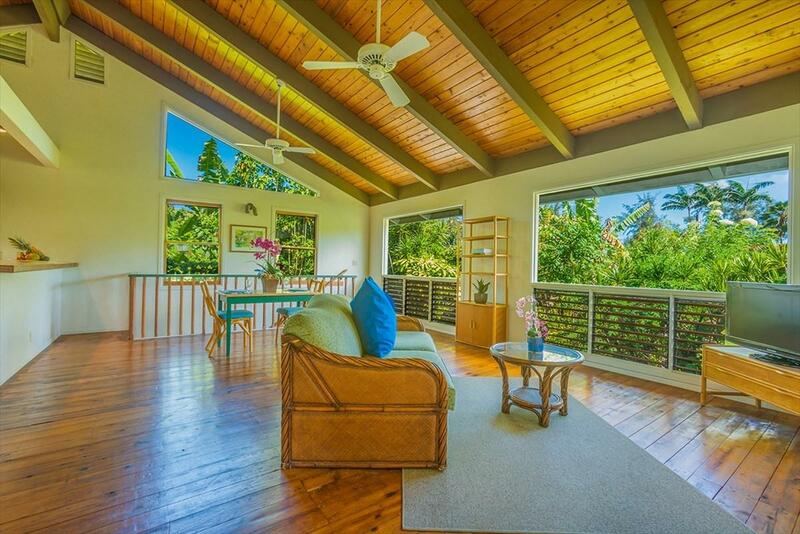 The property consists of a charming beach-style 2 story, 2000 sq. ft. home on one unit and an art studio on the other unit. 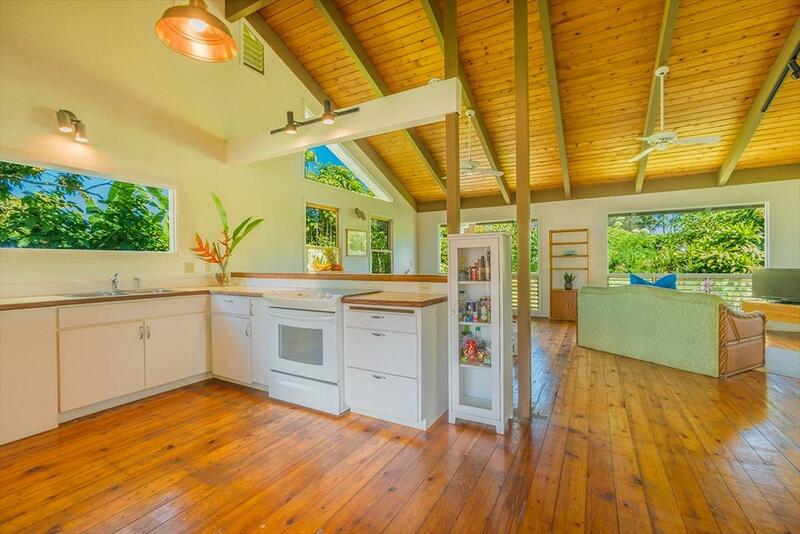 Both buildings were carefully designed to fit into Hanalei's unique colorful style.The lovely vacation rental home epitomizes beach house living with crisp white walls and wood floors and ceilings. The vaulted ceilings and white paint give the home a bright and airy feel. 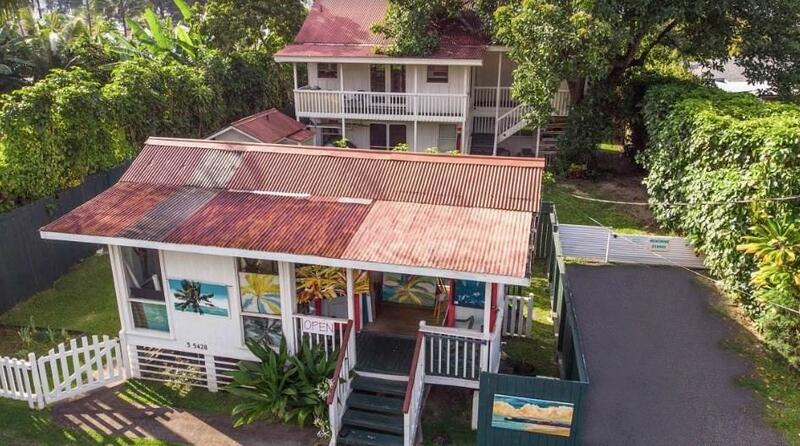 Upstairs is the living room, kitchen, 2 bedrooms, 1 full bath and 2 lanais to relax on and BBQ with an incredible view. Downstairs is a large family room, 1 bedroom and 2 half baths. An outdoor shower is perfect to rinse off sand after a fun day at the beach. The owners recently installed a new septic system and received conditional water meter approval for the Unit with the art gallery. A well loved avocado tree is on the property planted by the original owner years ago with possibly the best [amazingly delicious] avocados in Hanalei. It has been grafted by 2 of Kauai's most noted horticulturists. This property has a mature hedge on both sides for privacy. Hanalei Bay is a short walk away. Hanalei town is an easy 10 minute walk or short bicycle ride. Hanalei, called "The hippest town on Kauai by Vogue magazine, offers many dining and shopping options including a weekly farmer's market. This locale is surrounded by some of the most gorgeous scenery in the Hawaiian islands. This home offers the optimal beach town experience in one of the most beautiful locations in the world!